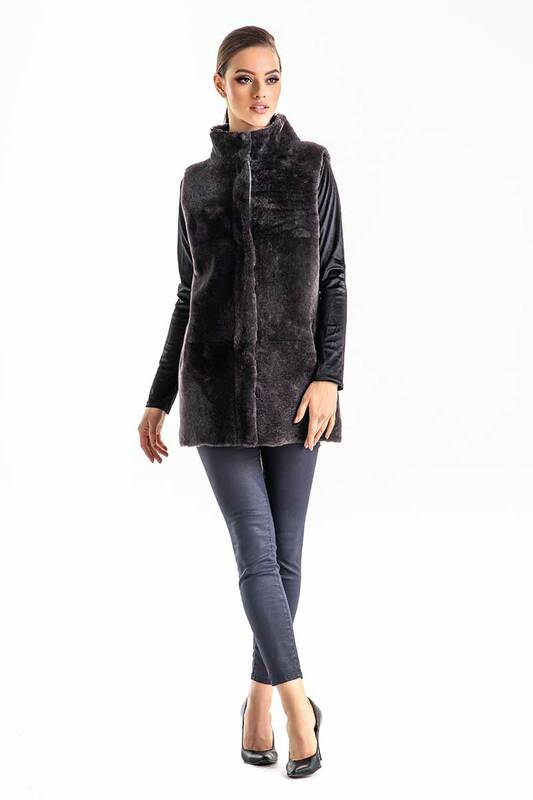 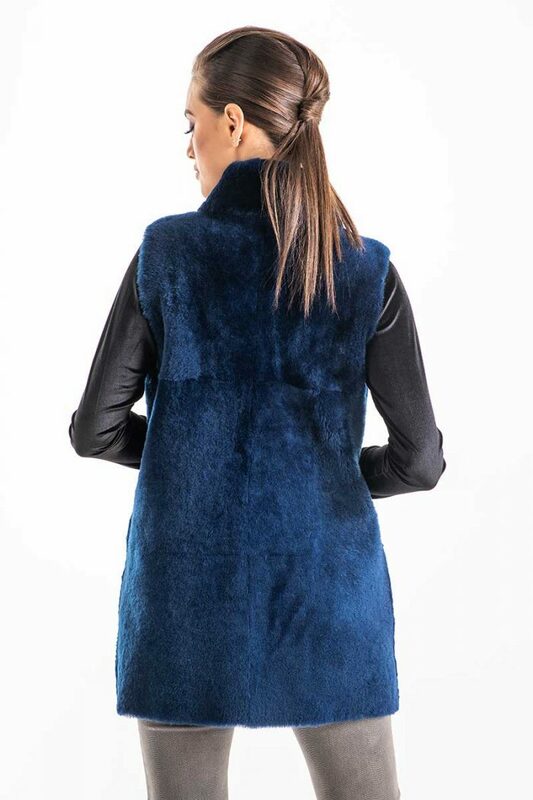 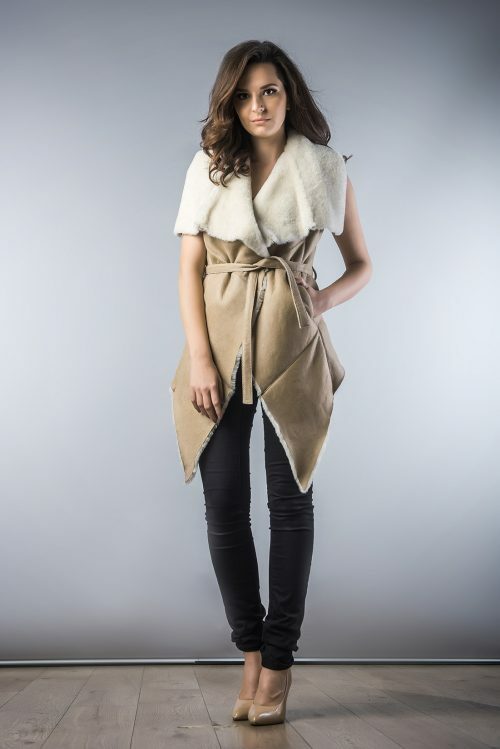 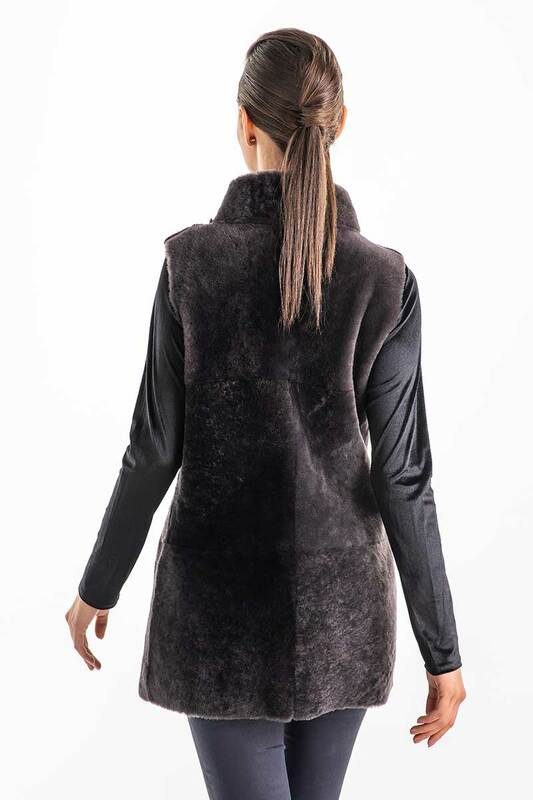 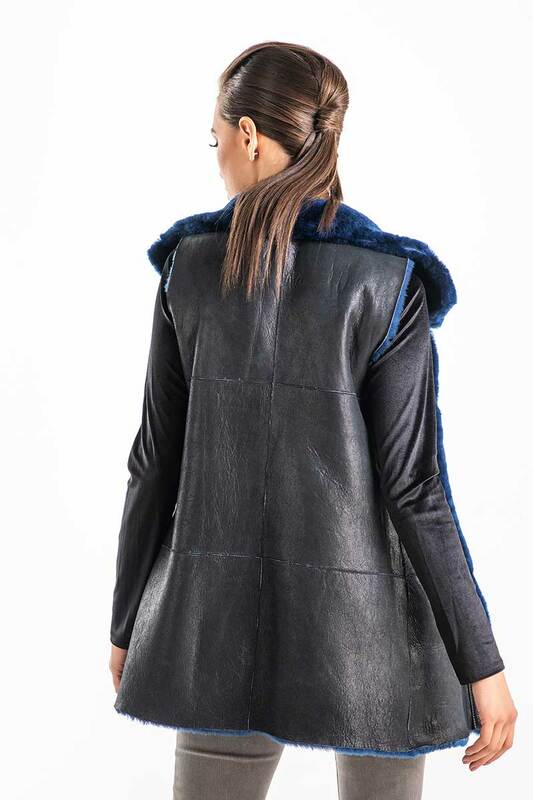 Sheepskin fur vest for women. 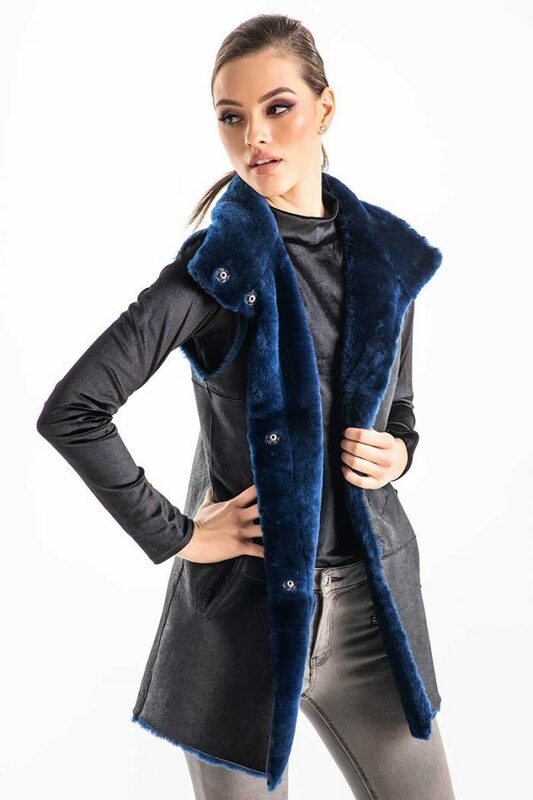 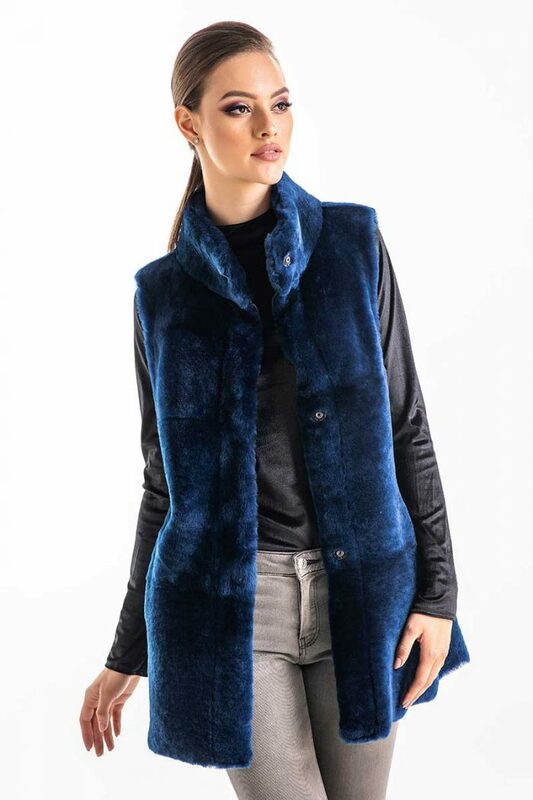 This vest is reversible, a side being with mouton fur and the other is made from nappa lamb leather, resistant to moisture and wind, for the best protection and comfort. 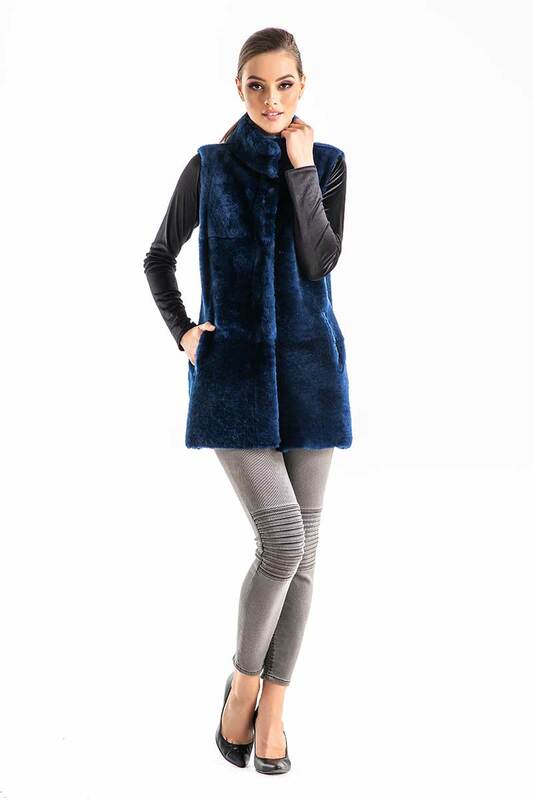 Closing of this vest is provided by a staple. 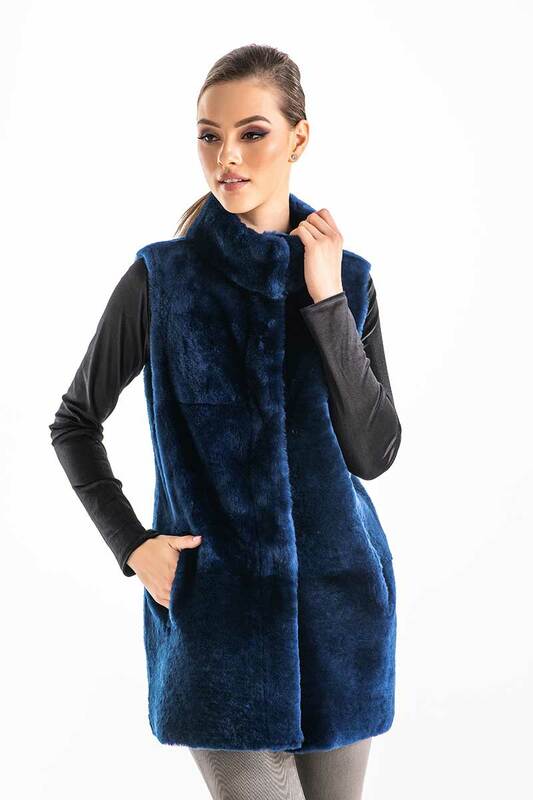 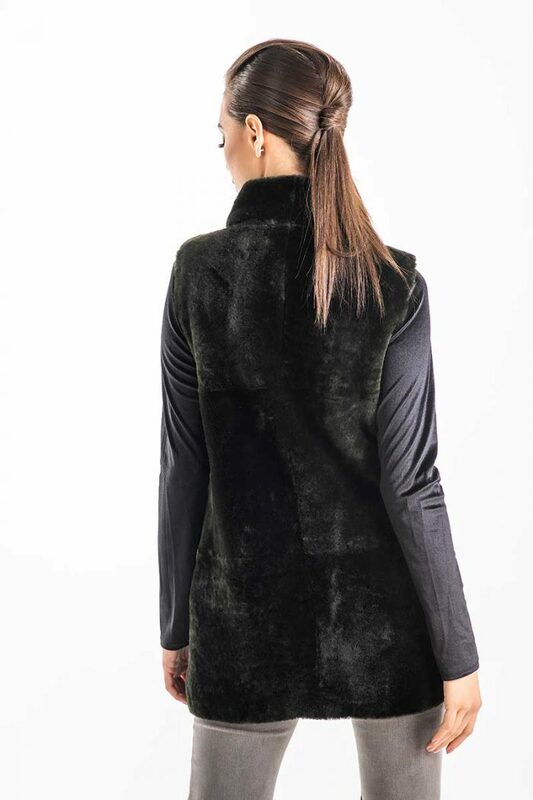 The length of the vest is medium, providing the necessary support in the cold period.This vest is the perfect choice to enrich your wardrobe with a unique piece of clothing.